The veteran musician also revealed how the famous dance move from the Tunak Tunak Tun music video came about. New Delhi: A new year, a new international artist inspired by India's very own musical fountain of youth, singer Daler Mehndi. 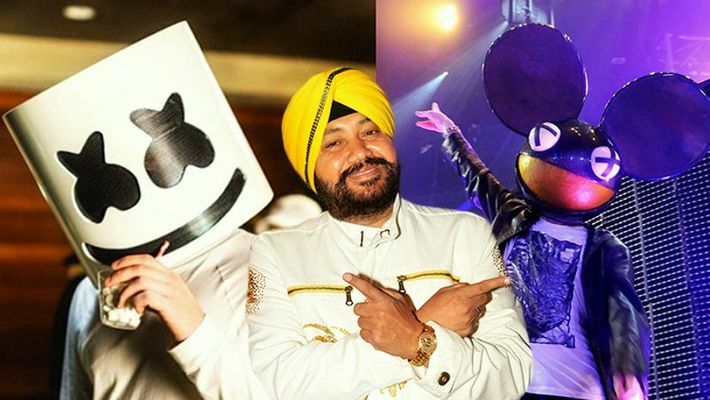 After EDM artist Deadmau5 put his spin and made the world groove to Tunak Tunak Tun, American DJ Marshmello teased his Indian fans about his new track with a clip from the same song. While international artists go ga-ga over Mehndi's track from more than two decades ago, the King of Bhangra remains modest. "When I made this song the music company told me that this track would never work," he told MyNation, adding, "Even for the video the directors told me that it would be a flop without the glamour quotient. But I was always sure that it would be a hit." He says, "Choti umar hai uski...I felt that if he's coming to India he should be welcomed and told that khaana kamal hai. Even the Indian music that he follows shows the richness of Indian culture." The reply touched the 26-year-old American musician who told Mehndi he can't wait to be in India.
.@marshmellomusic Hello Kid!!! SatSriAkal. Happy with your work! On the day of the album launch 20 years ago, 10 lakh audio cassettes and 2 lakh CDs were sold. At the time, the music video was also one of a kind that was shot using the chroma key and Daler playing four characters all by himself. Today, the track continues to be a meme favourite especially Daler's dance moves. "I thought of this dance step to go with Tunak Tunak...making my fingers dance...right when the camera was switched on. Now, whenever people see me on the streets or anywhere, there's a smile on their face and they excitedly do the Tunak Tunak finger dance," he says. "I am so happy...I hope every musician gets to feel this happiness once in their life. Having an international audience that loves you is a very big achievement," says the singer, who also received the 'Doctor of Music' honorary doctorate in the United States of America. Daler says, "My songs have only spread happiness, it is healthy music that makes everyone smile. It is a medicine, so I feel that this title gels very well with me." While Tunak Tunak Tun may be everyone's favourite track, Daler says it is Bolo Ta ra ra that will forever have a special place in his heart. "Bolo Ta ra ra se meri pehchan bani hai...," he says. On the work front, the singer's recent offering Jagga Jiteya from the big hit movie Uri: The Surgical Strike has also received rave reviews. But as of now, Daler is basking in the love of his global fan base. "I am not actively seeking out collaborations but it would be fun to work with an international artist and merge cultures to create something new," he says.